Welcome to Monkey Island Tours at the Monkey Island Foundation! 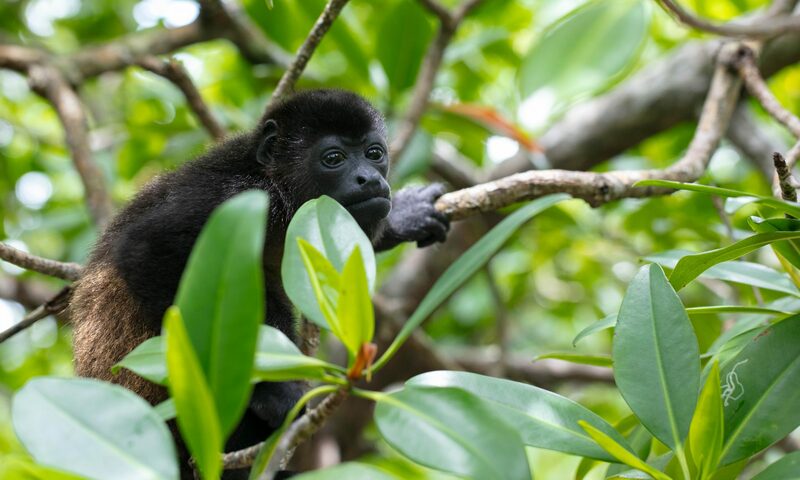 During this educational wildlife tour in Bocas del Toro you will get to meet our resident monkeys and learn lots about each of their species. All while you take in the beautiful scenery of a unique and remote mangrove island…a true monkey paradise! Don’t miss the chance to experience this unique and unforgettable tour during your visit to Bocas del Toro, Panama. We are open everyday from 10AM to 3PM. We also run an eco-lodge on the island, so in case you’d like to stay overnight visit https://urracaprivateisland.com to book your stay with us. From Bocas Town you will take a water taxi, which can be booked at one of the many water taxi companies located on the street Calle 1ra. After a 30 min. boat ride you will arrive at Monkey Island, a secluded paradise on a mangrove island in the province of Bocas del Toro, Panama. We recommend that after you visit us, you head over to Cayos Zapatilla, a beautiful beach located only 15 mins. away from our island.